The Trust is extremely grateful to our corporate supporters who donate their products and/or services for the numerous MSA Trust fundraising events happening across the country. 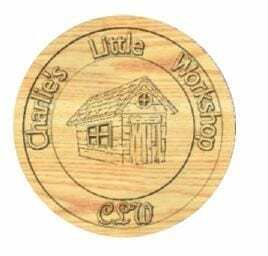 These can be used as raffle or auction prizes at these events. Our fundraisers and the Trust are always looking for sourcing materials that would be required on the day of the event. Some companies have kindly donated products for this purpose as well. James Dyson Foundation has kindly donated Dyson Hot + Cool™ fan heater as a raffle item. INSPIRING FUTURE ENGINEERS – The James Dyson Foundation, Dyson’s charitable arm, introduces young people to the exciting world of engineering, encouraging them to think differently, make mistakes and realise their engineering potential. Kevin Mayhew kindly donated candles that were lit for MSA Trust’s memorial event, MSA Candlelight. 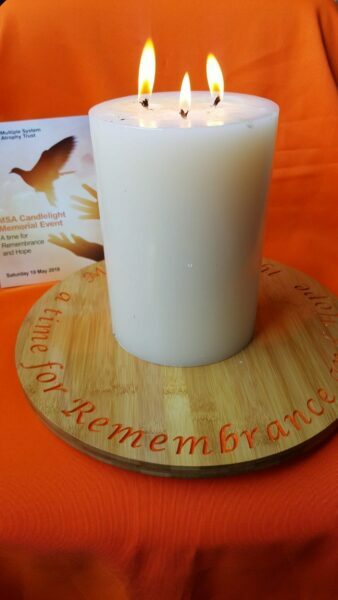 Colin from Charlie’s Little Workshop kindly produced a bespoke and beautiful candle plate for MSA Trust’s memorial event, MSA Candlelight. Thank you Colin!